To learn Git is to love Git. One of the important skills for a programmer is to learn and master Git and I have been searching some good tutorials and courses to start with. The Internet is full of Git tutorials and a simple Google search will bring you thousands of tutorials, but the big question is where do you start? It’s easy to pick a tutorial or a blog post if you have some background about what Git is, what it does, and how to use it, but if you don’t have much background then you need a course which can tell you all the information from the ground up. I personally like learning from a book or an online course before moving to blog posts as they were often well structured. When you search for Git courses in popular online course websites like Udemy, Pluralsight, or Coursera, you will find some good courses like Git Complete: The Definitive Guide on Udemy and Git Fundamentals from Pluralsight which will teach you everything about Git step by step. These are excellent resources to start with Git. But, some programmers prefer to learn from free resources and many of my readers asked me about if I can share some of the good but free Git courses they can use to learn Git online by themselves. In this article, I am going to share some of the best free Git online courses you can join from your home or office. These are legally free resources; they were made available free by their creators for educational and marketing purpose. If you find that’s not the case then please drop a note and I’ll remove that course. You definitely have used other source control software, like CVS, SVN, VSS, DFS etc. 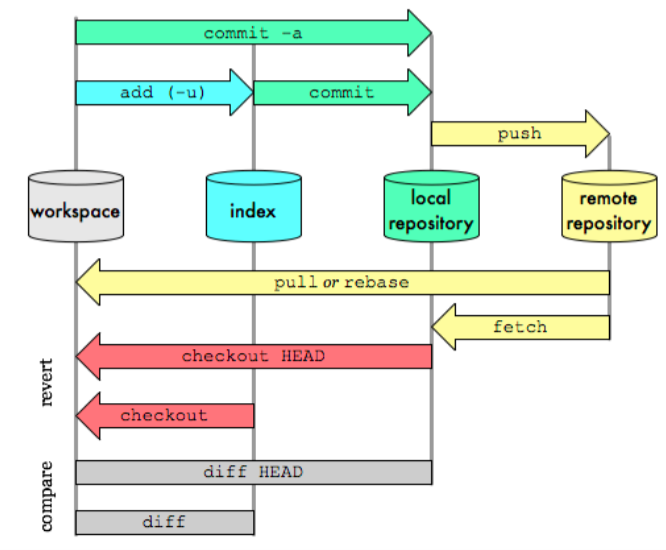 Git is another one but it’s a little bit different because it’s a distributed source control system, which means you commit changes on your local branch and then push them into remote server (GitHub repository) once you are done. Github is also a source code repository i.e. where you can store your source code. In today’s world, a Git repository for programmers is as essential as your Linkedin or Facebook account. That’s the social proof of being a programmer and that’s why I suggest every programmer have their won Github account featuring some of their best code. Here is a list of some of the best online courses you can join to learn Git and Github for free. These courses provide a good introduction to both Git as version control and overview of essential commands if you want to use Git from command line e.g. push, pull, checkout etc. This course is designed to jump right into showing how Git and GitHub work together, focusing on the Git basic workflow. Students can expect to learn the minimum needed to start using Git in about 30 minutes. You will learn how to set up Git for Windows and Mac OS X and then how to use Git’s help command. After the Installation section, the course walks through the entire Git basic workflow, starting off in GitHub, working locally, and then publishing our changes back to GitHub. In short, this course will teach you the basics of Git and GitHub, with clear, step-by-step instructions by a highly rated teacher. 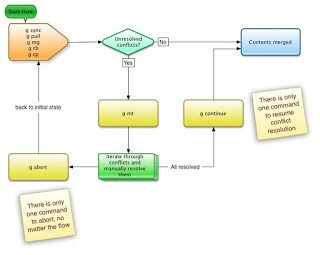 This course some basic Git operations step by step. The course will not dive too deep and takes small steps on each of five days. As you continue through the course, we learn a basic, single-person workflow that could allow anyone to store files at GitHub or BitBucket, two of the popular public Github repositories. If you are looking for some hands-on course to learn Git step by step, this is the right course for you. You can find this one in Udemy, it’s completely free, no coupon needed. This is another Git course for beginners. In this course, you will learn how to install Git and configure it for your local environment. You will also learn to communicate with local and remote source repositories, add content to a local and remote repository, create comments for your code, understand basic branching and merging and excluding content types from the repository. In short, a good course to learn essential Git operations with step-by-step examples. This course is designed to provide hands-on experience in Git command line on Windows. You will learn key concepts and focus on basics tasks in the Bash command line in order to be productive quickly. In order to use Git on the command line on Windows, you can install GitBash, a tool or software which allows you to access Github from your windows machine. Students can expect to learn the minimum needed to start using the Bash shell in less than an hour. The course also contains quizzes, which will help you to retain the knowledge you have learned. In short, a step-by-step guide for Windows users unfamiliar with Bash or the terminal environment. 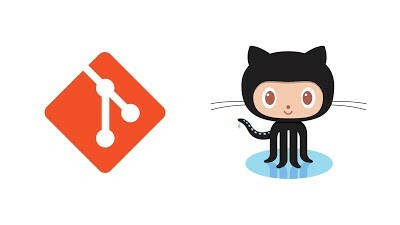 Are you a software developer who wants to get started right now with Git and GitHub? If you’ve heard of Git and GitHub but aren’t sure how to begin, this course takes away the guesswork. In just 30 minutes, this “short and sweet” course covers the essential ideas you need to move forward, without a lot of filler. That’s all about some of the best, free Git online courses for programmers. You can use these courses to learn and master Git in 2018. If you have not heard of Git before or know Git a little bit, these courses will help you to fill the gaps in your knowledge to work with Github. You will also learn some productivity tips along the way to enhance your Git working experience. After finishing these course you better create a Github account if you don’t have already and store some of your best code there. There is no better proof than a good Github repository for your programming skill. This will help you to get your next job. You should also remember that if you ever have to do a take-home coding test, which many companies use to screen candidates, then instead of sending your program into a zip file to them, upload your personal Github repository and send them a link. I have found that many interviewers impressed with this simple act and like to see how you coded the solution with an incremental commit history into Github. The code review is also easy in Github. Remember this tip next time if you have to submit a test code to any company. Thanks for reading this article so far. If you find these free courses useful in learning Git then please share with your friends and colleagues. If you have any questions or feedback then please drop a note. P.S. — If you don’t mind spending a bit of money on something worth learning then you can also check GitHub Ultimate: Master Git and GitHub — Beginner to Expert on Udemy and Git Fundamentals from Pluralsight. Two of the most comprehensive courses on Git.